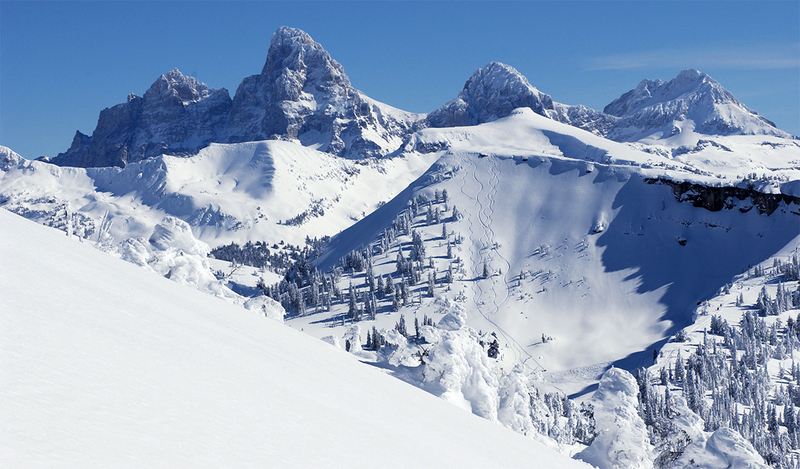 An Australian skier had the ride of his life after he slipped out of bounds at Grand Targhee Resort in Wyoming. He ended up tumbling nearly 1,000 feet, including over a 300-foot cliff. James Garner, 28, from Sydney, Australia, walked away from the incident without any injuries, according to the Jackson Hole News & Guide. Amazingly, Garner was able to walk away from the 300-foot free fall unscathed. He insisted he was fine when picked up by the ski patrol but was still transported to Teton Valley Hospital, where there were no visible injuries reported. The only damage? He did get a citation for going out of bounds. But he now has one hell of a story to bring home. Although he was not wearing a GoPro to record his trip (and never got to snap his selfie for us to see), we can imagine his tumble looked similar to Jamie Pierre’s drop off a 255-foot cliff on the backside of Targhee a few years ago. It also doesn’t go as planned, but it ends a lot better than you might expect.